By 2020, people will interact with chatbots more than they will with their partners, research firm Gartner has predicted. The use of bots to streamline tasks – also known as robotic process automation (RPA) – has become more widely accessible through natural language processing (NLP). Today’s chatbots understand human language in much the same way humans themselves decode syntax and context. Experts believe this linguistic advancement makes chatbots useful across a range of HR functions. Ubisend, which develops enterprise conversational tools, said 48% of the inbound chatbot build requests they receive are HR-related. RPA is expected to improve the world of work. Employees can take a load off their back by delegating some of their tasks to their robotic counterparts. This could be a boon for overworked and stressed out workers. About one-third of executives said divesting of certain duties gave them time to handle higher cognitive activities, according to PwC. High-volume recruiting can be streamlined with chatbots, especially in the early stages of candidate pooling. Ideal, which specializes in AI-powered recruitment bots, said up to 80% of top-of-funnel recruiting activities, like candidate screening and interview scheduling, can be automated via RPA. 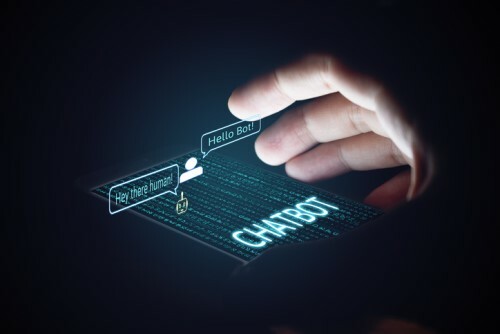 New hires and regular employees can easily get acquainted with company policies, benefits, regulations and other useful information by interacting with chatbots. Bots can introduce concepts, techniques, and processes to promote continued independent learning. They can also assess skills. In May, Kronos and Microsoft teamed up to offer a virtual assistant that answers everyday queries. The bot processes requests, such as approval/monitoring of leaves, and other workforce management essentials like shift management and internal communication. Another example of a productivity booster is the Slack-based chatbot Talla. It is designed to help workers manage their tasks more efficiently by automating content management and retrieval. Bots can simplify the complex processes involved in benefits administration and compliance. Harbinger System has developed a chatbot that advises users on their benefits plans, suitability, and all other relevant information. The bot can point employees to the correct information based on the users’ unique circumstances. All-around HR bots, such as those built by Botcore.ai, can conduct employee reviews and surveys and open a communication line between the workforce and management. By involving workers in important decisions via survey bots, managers have the opportunity to create a better employee experience. Is everyone scared of Google’s new chatbot?